“Their advent will be a boon and a blessing to Kilkenny” wrote a correspondent to the Kilkenny Journal on October 13th 1860, following his visit to the new Christian Brothers School on James’s Street in an article entitled “A Peep at The Christian Schools”. He recalls the courteous manner in which he was received by the Brothers. He observes the order and discipline which they had already established. Yet the pupils within the school seemed as joyous as the “playful truants outside”, who could not gain entrance because of severe overcrowding. He had ”peeped in” just in time to hear the singing class and was astonished by the taste and accuracy with which they sang. They learned History, Poetry and Gaeilge as well as the “solid sciences”. However infatuated this visitor to the school might have been by his experience, what is clear is the esteem in which the people of Kilkenny held the Brothers' arrival and their teaching. The numbers that could not be admitted to the school for lack of accommodation were a practical proof of this appreciation. As far back as 1850, only two years after the Great Famine, the people of Kilkenny had been agitating to have a Christian Brothers institute established in their town. Funding such a school would take time. Five years later at the request of the Bishop of Ossory, Rev.Dr. Walsh, the people of Kilkenny held a meeting under the Chairmanship of the Mayor, James Tidmarch. The large assembly unanimously decided to invite the Brothers to open a school in the city. A fund of some 3000 pounds was collected and invested for this purpose. It was agreed that three Brothers would be sent to Kilkenny. They would be provided with a school and a residence. By 1859, a site had been purchased and a solid two storey building erected. Downstairs were two large classrooms. The upper storey would act as a residence for the Brothers. This building stood at the junction of James’s St and the Sconce (what is today Evan’s Lane) and was located slightly closer to the road than the present building. 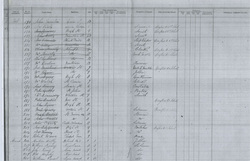 On 24th September 1860 the school opened its doors to a large influx of pupils. 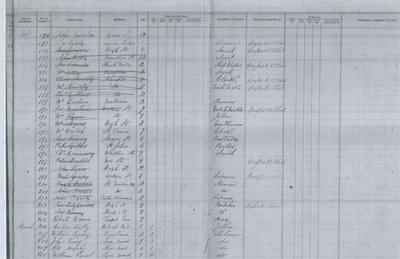 The first boy registered was 12 year old James Kavanagh from the Dublin Road. Two hundred and sixty boys were put on the rolls that day but many others unhappily had to be turned away due to lack of space. Br. Mc Cormack led the initiatives to develop a monastery in the 1920s, and the spectacular house and its gardens overlooking the Black Abbey and with a fine view of St. Canice's Cathedral, became home to the Brothers. Br. 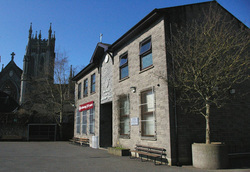 O’Leary presided over an extension to the school in 1958, while a massive school expansion scheme that would take more than twenty years to complete was led by Br. McGeagh coinciding with the advent of free secondary education in 1969. The final phase would not be completed until 1984. 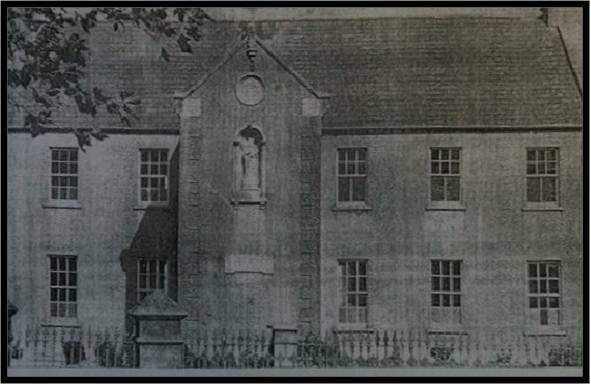 On the 12th June 1984 the old stone building which had provided a home and a school for the Brothers in 1860 was demolished, and the present building erected. For the past 150 years CBS James’s Street has produced leaders of Church and State. 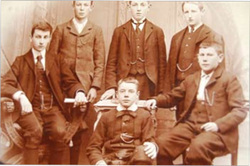 The hallmarks of its approach to education have included a rounded educational experience (Music, Art, Language Labs, Technology all before their time), a desire for excellence with the belief that this can be best achieved in a school community where people are happy, and relationships are good, and a certain independent spirit which is perhaps fitting on the site where Blessed Edmund Ignatius Rice got his first education. In 2006 the school entered a new phase in its history when the Brothers as trustees of the school were replaced by the Edmund Rice Schools Trust and a new phase in its history has begun.